I was on the phone the other day with a long retired teacher I worked with for many years - she is 80 years old today so I sent congrats (and flowers) to her. She has had little interest in education issues for many years. "Oh, those firings in Washington," she said. "They must be crazy." Yes, the Rhee in DC story has captivated people's attention. I've noticed lots of our buddy bloggers have castigated Randi Weingarten for screwing the teachers in DC by negotiating the contract with Rhee that allowed for these firings. What they haven't touched on is how Randi helped subvert the DC teacher union elections which were supposed to take place sometime in May. In essence Randi functioned as Michelle Rhee's agent. Is she a Manchurian Candidate? As chronicled by Candi Peterson, the current president of the union, George Parker, has run the union into the ground. But he was more amenable to the contract than his opponent in the presidential race, Nathan Saunders, who currently is the VP. Except he isn't since both he and Parker's terms expired on July 1. Now follow this bouncing ball. If the election had been held in May and Saunders were elected, the chances of the Rhee/Randi contract being voted up might have been jeopardized. I know, I know - it passed overwhelmingly. But if all the information as to repercussions had been distributed with a new union admin coming in, who knows what would have happened? Randi could not take that chance. So when Parker did not submit the legally required petitions to enable him to run in time for the deadline, Randi was aghast. In essence, Parker has handed the election to Saunders at a crucial time when Rhee and Randi were about to seal the deal. Getting this done was very important to Randi as this would help seal her reputation as an ed reformer when in reality we know she is an ed deformer. 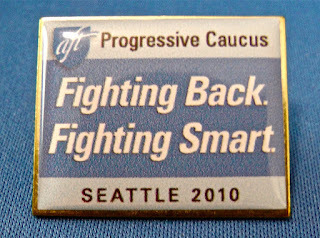 Now the Washington DC teachers union election is in the hands of an AFT committee and no matter what they say and do we know one thing- Randi does not want Saunders, a version of Karen Lewis in Chicago (who just called for the cancellation of Teach for America contracts as one example of someone with union moxie) to win. At the AFT convention in Seattle a few weeks ago, I had a chance to do a brief interview with Nathan Saunders at the Chicago Teachers Union party and the next day filmed Candi Peterson as she made a presentation on the DC situation to an AFT Peace and Justice Committee event. I'll let them speak for themselves. Please take a look at this survey, designed by AFT - no doubt. I have never seen anything like it. Have you? Surveying our union members about the upcoming mayoral and DC City Council chairman race when we have a political arm of the WTU. My guess is that George Parker, WTU President and AFT President, Randi Weingarten may want to throw their support to Mayor Adrian Fenty . Another term with Fenty would guarantee Chancellor Rhee and company will stay at the helm. This is absurd when every other union in DC is supporting Chairman Vincent Gray for Mayor. Wonder why? because Fenty believes in firing everyone in this town. I'd love to know your thoughts on this survey? Oh, What a Show - Four days left to See "Heavy"
I got home late last night after seeing "Heavy Light the Weight of a Flame," the one man show by Ernie Silva, my former 4th grade student from over 25 years ago (facebook, Ed Notes, Huffington Post review). I know the major stories of the day are the test results, the story breaking just as I was leaving to head into the city yesterday afternoon. I managed to get something up before I left. Many bloggers have been out there - check the blogroll for NYC Educator, Leonie on the parent blog, Perdido, Chaz, Accountable Talk, Queens Teacher, etc. I'm not sure I have much to add but there was so many great comments coming through on the listserves, I'll try to get a few up later. But I want to talk about Ernie's show. I was joined by Yelena Siwinski - the chapter leader of PS 193K who organized that great video I shot at her school of the teachers singing and dancing to the words of a Grease song they rewrote – her friend and Frank Caiati (who I know from the Rockaway Theatre Company), an actor, director and teacher - I am starting my 4th acting class with him this Sunday. I had seen the show twice in April when Ernie was the winner of The One festival. Ernie's friend Dino, another one of my former students had been telling me there were changes – the show was tighter and funnier, so I was really looking forward to it. Last night La Tea theater was packed to capacity. I was somewhat surprised - as was the theater manager who commented on the number of people showing up on a Wednesday night. The show ran an hour and 15 minutes. Ernie on stage for every second. And wow, what a performance. I looked around the audience and people barely moved throughout. I don't believe I've seen such rapt attention focused on one person for such a length of time in any one man/woman show. I have no ability to review a show like this - I just watched and enjoyed. I was reminded of Asilda Sun's wonderful "No Child Left" in the way Ernie took on the persona of so many different characters. I just loved the southern security guard who began to look like Don Knotts playing a cop as Ernie kept switching in and out of one character after another. Look, I may be prejudiced and would have liked it under any circumstances. But I could tell from the reactions of Yelena, her friend and Frank that they were very impressed. Frank, a member of Actors Equity and SAG, for a guy not even 25 yet, has as deep seated an understanding about acting as anyone. He picked up on so many of the insights coming out of Ernie's coming of age comedy/drama. Ernie even managed to work my name in - Hey mom, l got a hundred on Mr. Scott's science test. Must have been a test prep for a science test as that was all my principal was interested in. She tried to keep me from getting that top class because she felt I didn't concentrate on test prep and took too many trips - she even took away my double sized classroom as punishment for threatening to grieve if I didn't get the top class because it was my turn - but I grieved her taking away my room and actually won. 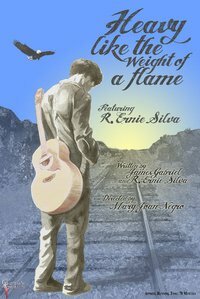 If you are in town and want to see a unique show - you can't get more for $10 - then go see "Heavy Like the Weight of a Flame." You don't need advanced tickets if you get there 15 minutes before. I'm going back this Friday night when a whole bunch of former students who I haven't seen in 25 years will be there. Contact me if you are interested in going. There are quite a few good restaurants in the area, so let's have a party. BloomKlein will comment: Let's celebrate - at least we're not as bad as Rochester. Note that Mayor Duffy - soon to be Lt Gov- in Rochester has been pushing for mayoral control based on the "success" of mayoral control in NYC. 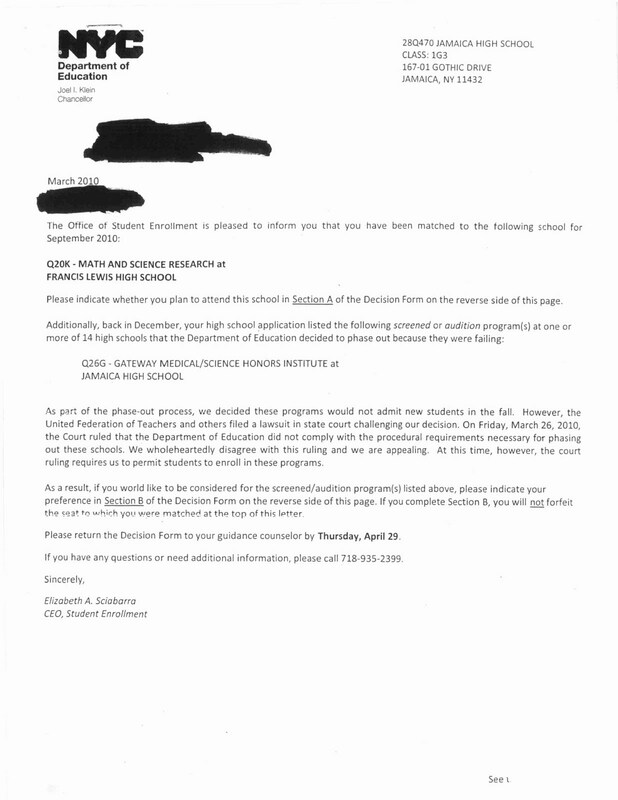 Next up to be debunked: phony claims to raising grad rates. But then again if you use credit recovery - fog a mirror and get creditb– and bogus tests to promote people (remember how they "ended" social promotion) you reap what you sow. Gotta go, but here is just some initial stuff. The fur will be flying all day. If you go over NYSED's materials re these scores carefully, it says there's a technical report available which has information re how cut scores were determined - and refers you to www.nysed.gov to fish it out for yourself. Hmnnn. It's not on the web page where links to prior years' technical reports are given and from what I can tell, it's not anywhere else on NYSED's web site either. This is a nice way of saying that NYSED screwed with the cut scores ... again ... and that they probably should have been worse. Otherwise NYSED would have actually made the technical report (which experts could analyze and see what's missing) available. However bad the NYCDOE's scores are in terms of % of kids who passed ... you can safely assume that it could, and probably should, have been a lot worse. ELA, NYC went from 69 percent of students passing exam last year to 42 percent of students passing this year – a 27 point - or 39% - decline. Statewide drop: 77.4% down to 53.2% -- a 24 point drop and a 31% decline. Charter school dropped from 76.1 to 43%; a 33 point drop and a 43% decline. In Math, NYC went from 81.8 % passing in 2009 to 54% passing this year. A 28 point drop and a 34% decline. Charters went from 89.4% proficiency to 59.9%, a 29.5 point drop; a 33% decline. Statewide: 86.4 to 61: 25.4 point drop and a 29% decline. How does that compare to the pre-Klein era? And does this mean that NYC’s claims of improvement compared to the rest of the state are dead in the water? In math, Students with disabilities state wide dropped from 58.4 to 24.6; a 34 point drop and a 58% decline; ELL students, 67% down to 30.7%; a 36 point drop and a 54% decline. In ELA, students with disabilities at proficiency dropped from 39.3 % to 15.2%; 24.1 drop and 61% decline….. ELL dropped from 36.4% to 14.3% proficient; 22.1 point drop; and a 61% decline!!! Awfully sad, even though many of us have known about the state test score inflation for years now. The Mayor and his cronies sold the editorial boards and the legislature on the renewal of mayoral control, based in large part on these test scores. Do we get a do over? Does NY Times' Leonhardt Distort Tennessee Class Size Study? Why did the article downplay the Project Star Study impact of class size and emphasize the teacher quality issue? “We don’t really care about test scores. We care about adult outcomes.” - Raj Chetty, Harvard, in today's NY Times, "The Case for $320,000 Kindergarten Teachers." Hmmm. Since I started connecting up former students from over 25 years ago, I've been thinking along the same lines as Chetty. The Ed Deformers constantly say it is all about outcomes - test scores - and we should not bring up inputs - student background, poverty, etc. because they are just excuses. So the ultimate outcomes are how their adult lives turn out. Will BloomKlein take the blame for students who go through 12 years of their ed deforms and end up in prison? Nahhh, that would be due to their ineffective teachers. One thing I learned - even though some of these students tell me I did have an impact on their lives - the reality is that I had very little impact - certainly when it comes to academics. What some do say is that I may have inspired an interest or they had a wonderful experience (one told me she took her own children on all the trips I took them in the 6th grade), but not anything that would affect outcomes as the ed deformers define it. Did the article distort the case for lower class sizes? Leonhardt talks about a research project that followed up on the famous Tennessee Star study. Are children who do well on kindergarten tests destined to do better in life, based on who they are? Or are their teacher and classmates changing them? The Tennessee experiment, known as Project Star, offered a chance to answer these questions because it randomly assigned students to a kindergarten class. As a result, the classes had fairly similar socioeconomic mixes of students and could be expected to perform similarly on the tests given at the end of kindergarten. Duhhh. Evidently - why so begrudgingly, Dave? Leonhardt just tosses away the class size issue, which is what ed deformers always do. Peers also seem to matter. In classes with a somewhat higher average socioeconomic status, all the students tended to do a little better. Now here comes the whammy! But neither of these factors came close to explaining the variation in class performance. So another cause seemed to be the explanation: teachers. Leonhardt leaps tall buildings in a single bound. WHAT? The Starr study showed that class size had an impact on teacher effectivness which in turn had an impact on students. Leonhardt turns the outcome (better teaching) into the effect (it was the teachers themselves). And that is the whole point of the ed deformers: put the onus in teachers. Mr. Chetty and his colleagues .... estimate that a standout kindergarten teacher is worth about $320,000 a year. That’s the present value of the additional money that a full class of students can expect to earn over their careers. This estimate doesn’t take into account social gains, like better health and less crime. They can pay their best teachers more, as Pittsburgh soon will, and give them the support they deserve. Administrators can fire more of their worst teachers, as Michelle Rhee, the Washington schools chancellor, did last week. Ah, yes. good ole Michelle, their hero. It has nothing to do with the higher salaries of senior teachers. Shame on Leonhardt, an economics writer. Schools can also make sure standardized tests are measuring real student skills and teacher quality, as teachers’ unions have urged. Let Chetty and his colleagues start a study of adult outcomes over the next 20 years in Washington DC, Chicago and NYC and measure Rhee, Duncan and BloomKlein's effectiveness. I can only describe TFA in two words: foolishly arrogant. I completed one year with TFA. Why only one year when TFA requires members to commit to two? Because TFA changes the rules of their game to suit the agenda of TFA. In my case I was terribly placed in an area of teaching that was well outside my content area. I was trained to be an English teacher by TFA but that's not where they placed me. As a result, the charter school system with a 25% turnover rate did not take my contract the second year. TFA's policy (a word of warning to all prospective members) is they don't necessarily place you elsewhere and can (and do) drop members from the program. Because they do not like to lose at what they do, they are not very nice about it either. TFA's current problem, among hundreds of others, is that real teachers, the ones who went through accredited institutions and have credentials the day they walk into the classroom, are being laid off, so placement of ersatz teachers like TFA's becomes harder for that organization. Beyond this though, is the irrefutable fact that TFA has existed for 20 years and even though in some cases their results have been as good as that of accredited teachers, it has been no better and in many cases, far worse. The major problem facing TFA is that their rhetoric is twenty years old, held cult-like by die-hard members on TFA's payroll, and like a chain-letter or pyramid scam, TFA's existence depends on fanatical belief in order to raise the private funding needed to support the organization. The federal government is wisely expanding alternate certification program funding to other organizations making it competitive. In short, TFA's dogma, arrogance, and apparent lack of organizational intelligence to adapt has fostered the beginning of the demise of TFA as a viable organization. It is unfortunate that government officials at all levels appear to be moving toward the incredibly unregulated world of privatized education. Charter Schools, (many of whom don't have qualified principals: they call them directors) are loose cannons. They too play by their own rules. They are a natural marriage for organizations like Teach For America, and that is the unfortunate development in American education. If it weren't for the play it by ear, almost unregulated charter school systems, organizations like TFA would have folded their tents long ago. It should be noted however, that American voters are to blame. Americans need to understand that privatization of education and teaching with unqualified teachers is not the long or short term solution to American education. We need to fix the existing system. That is done, not by flailing moderately paid teachers, but by making administrators, many of whom earn salaries four times as high as the teachers in their charge, prove competence and do their jobs. So NJ got into the next round of Race To The Top. Gee, swell. - Merit pay. Hasn't worked yet, but full speed ahead! 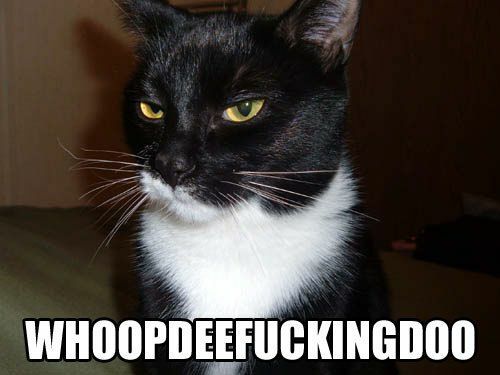 - Charter schools. Weak to no gains so far, but full speed ahead! - Teacher evaluations and dismissals based on standardized tests. Error rates of 25%-35%, but full speed ahead! - Institutionalizing the testing culture of schools. Big problems looming with cheating as the stakes in these tests get higher - really big problems - but full speed ahead! - Rewarding states for their commitment to educational reform. So far, some of the worst states have been rewarded, but full speed ahead! Civil Rights Leaders Take On Obama/Duncan on Ed Deform? "This is really tough talk, and it is about time that America’s civil rights leaders are speaking up. The only question is whether anybody in the Obama administration is actually listening." Valerie is fast becoming our new heroine. But more on her later. The National Black Education Agenda (NBEA) is still operating and plan to have a national public response to the National Standards miseducation policy. Foir those who don't know about the NBEA, go to: blackeducationnow.org. We plan to insist on a meeting with the President and the Ed Dept director. The "WE" are prominent Black educators as well as in-the-ed-trenches educators, parents and community members from across Black America. The NAACP at their last week's convention came out with a resolution OPPOSING charter schools. This was a grassroots effort that had to fight some of the national leadership who give uncritical support to the Obama administration. I think this is a very good victory for the progressive Black educators specifically and progressive educators in general. and we should spread that resolution far and wide once it becomes public. By Michele McNeil on July 26, 2010 10:00 AM | No Comments | No TrackBacks Seven leading civil rights groups, including the NAACP and the National Urban League, called on U.S. Secretary of Education Arne Duncan today to dismantle core pieces of his education agenda, arguing that his emphases on expanding charter schools, closing low-performing schools, and using competitive rather than formula funding are detrimental to low-income and minority children. The groups, which today released their own education policy framework and created the National Opportunity to Learn campaign, want Duncan to make big changes to his draft proposal for reauthorization of the Elementary and Secondary Education Act. What's even more interesting is that a big event planned to release the framework this morning in conjunction with the National Urban League's annual conference was mysteriously cancelled (or postponed, depending on whom you ask) after a lot of press releases went out last week trying to drum up interest. And here is some interesting analysis by Valerie Strauss, who is turning out to be MAJOR for the side of the good guys. Note her use of the word "skewer" which you have to love. It is most politely written, but a 17-page framework for education reform being released Monday by a coalition of civil rights groups amounts to a thrashing of President Obama’s education policies and it offers a prescription for how to set things right. But that, in other nicer words, is exactly what it says. The courteous gloss on this framework can’t cover up its angry, challenging substance. But it gets better, as Valerie non only uses the word "ouch" but goes so far as a "double ouch." This may be a record for "ouches" though we can hope one day to see a dreaded triple. Jeez, she almost hit the triple. I'm getting orgasmic; better not to go there. But you go there and read it all. I also read this morning that Al Sharpton was originally signed on to the report, but later on wasn't. Probably not any money in it for him. Are Civil Rights Leaders Going to Take an Anti-Obama/Duncan Position on Education? Or were they and now are backing off? Today a major event was scheduled that would skewer race to the top and other Ed Deform plans. The very idea of major civil rights leaders taking down the ed deform bull that people like Joel Klein and Eva Moskowitz and Michael Bloomberg are leading a civil rights battle would make a powerful statement. The briefing to release the Framework for Providing All Students an Opportunity to Learn scheduled for Monday at 10 a.m. at the Grand Hyatt has been postponed. A copy of the framework can be downloaded at http://www.otlcampaign.org after 10 a.m. on Monday morning, July 26, 2010. Those interested in scheduling interviews about the framework, please call Kari Hudnell or Stephanie Dukes at 202-955-9450. I won't be home until later this morning but I suggest people call to schedule an interiew and ask why they cancelled the press event. Were pressures brought to bear by the Obama administration? Bloomberg? Billionaires like Gates and Broad threatening loss of funding? Who knows? Are YOU Fired Up About the DC Firings??? Mimi certainly is at. It's Not All Flowers and Sausages A few excerpts on classroom observations and a dump on value added. Should our education system tolerate inadequate and ineffective teachers? Um, no. (Duh.) As a teacher I could barely tolerate inadequate and ineffective teachers...they make the jobs of rockstar teachers that much harder and do NOTHING to improve the educational outcomes for children. In fact, I'm sure some of them are subtracting opportunities and knowledge from children, but that's just a hunch. Should teachers be held to high standards as professionals? Of course they should. We are not idiots, and we can handle high standards as we are professional individuals who not only work hard to do our best everyday in our classrooms but actively seek out ways to improve our practice. Should all of us be treated like morons because a few of us blow? Should we be subjected to checklists of discrete skills that masquerade as the only markers of good teaching? Should we work in fear that someone is going to catch us *gasp* spending an extra ten minutes on our science lesson, thus rendering us task OFF time and, as a result and according to many Checklists of Effectiveness, INeffective? I take issue with the system of evaluation (IMPACT) which utilizes both "value added" (buzz word alert!) test score data and classroom observation. I will leave the discussion of "value added-ness" to my colleagues out there who enjoy discussing and tearing apart numbers (Skoolboy, care to weigh in??) and will now focus on the reliability of classroom observations. Now I know I am only a sample of one, but in my experience, observations have been canceled at the last minute, scheduled at the last minute, absently watched and blatantly hi-jacked. Let's see, there was the time that my administrator suggested that I post a chart that she was sitting in front of at the time. 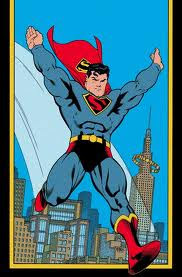 (Way to go powers of observation!) Then there was the time I was told, "Let's just skip it all together. You're fine." Or the time when my suggestions for follow up were cut and pasted out of another colleague's observation report, AND considering we taught different grades and were observed in different subjects, were less than relevant or helpful. Ooo! How about the time I begged for feedback on my teaching and was told, "No." Can we please base my salary and job security on that? 'Cuz it seems like fun. Like a big old carnival game or something. But more rigged and with no stuffed prize at the end. Shepherd tells how his experience differs so from that of the press corps. Probably because they didn't cover it as a participant. They didn't take a bus down. The flew in the day before and stayed at hotels. Then covered from behind the press ropes. He's still talking so catch the wave. Or check archives. For my next present - if my wife ever gets me one - I want the entire Jean Shepherd archives. And every night at around 11pm I will plug in a sert of earphones and go back to being 16 years old. When college grad rates are lower than those of high schools being closed down under the ed deform movement what is there left to do but CLOSE 'EM DOWN AND FIRE ALL THE PROFS. I mean, isn't the quality of the teacher the single most important element? All the deformers say it. And so do our own union leaders. While Dr David Steiner was a Dean at Hunter College, the school only had a 37 percent graduation rate. That would qualify Hunter College for an F grade under the DOE school rating system. Does this record give him the qualification to lead the NYS Department of Education. In NYC, the UFT under Randi's successor Michael (Ironing Board) Mulgrew went to court to stop the closing of schools, but did not go to court to stop Klein from discouraging potential enrollees at these schools and then made a deal to allow Tweed to insert new schools into the building that were being closed. Given these brilliant moves, now it's your turn to come up with more ways how our union leaders can continue to FIGHT BACK. FIGHT SMART. Here's an idea that fits right in. Get Bloomberg to give us our 2% raise and in exchange we let them fire ATRs who can't get a job in a year. That's the FIGHT BACK part. 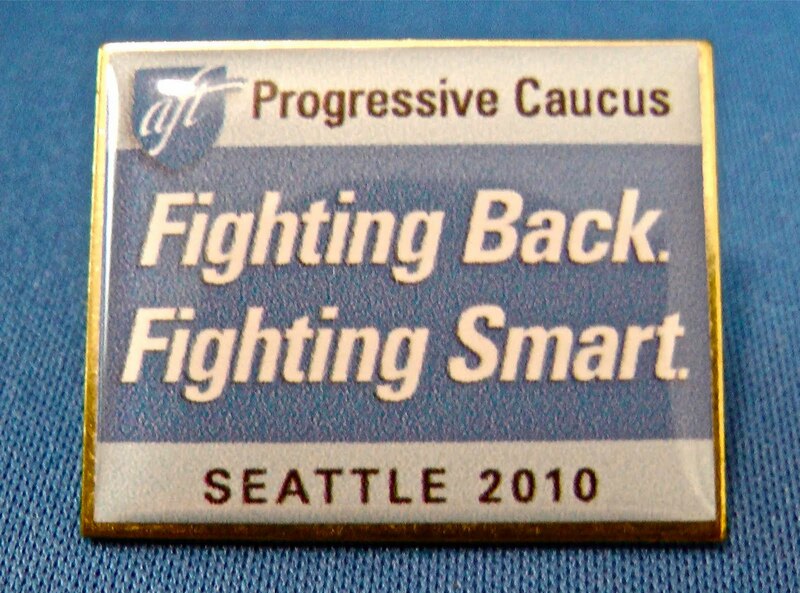 We FIGHT SMART by telling the members Bloomberg wanted to fire the ATRs immediately but we held out for a year. Leo Casey before he leaves to join Randi in DC will lecture us on how we don't understand the conditions in today's world and besides, look at the Autoworkers Union. The UFT continues to organize teachers in charter schools but makes sure there is a blackout on the use of the words "Merrick Charter." Here is the FIGHT SMART part. Whisper to charter school managers that all the UFT wants is to be able to list the school as UFT organized for PR purposes but they can write any contract they want and the UFT will sign it. As long as the teachers have to pay dues. LEAVE YOUR COMMENTS. READERS WILL VOTE FOR THE BEST FIGHT BACK, FIGHT SMART IDEA. MULGREW HAS PROMISED THAT THE UFT WILL MAKE THE WINNER OFFICIAL POLICY. Valerie Strauss points out the absurdity of the DC IMPACT system, supposed to measure 22 aspects of teacher quality in 30 min. observations; including designing teacher to fit “tactile” learning styles. Not to mention that the DC exams, meant as the base of 50% of the eval system for teachers in 4-8 grades, weren’t designed to evaluate teachers. Neither were the NY state exams, now shown as fraudulent, but still will be used as basis of 40% of NYC evaluation system for teachers in grades 3-8th. Is there any area of public life where the reigning ideology is as patently absurd as in public education? Heavy Returns to New York!! "Contrary to the Ed Deformers, I do not take the position that teachers are the major influences in these kids' lives, but are small pieces of a very large jigsaw puzzle." I wrote the above in the April 16 edition of The Wave where I wrote about going to see Ernie Silva's one man show (Ernie Silva Show an Allegory for Why Achievement Gap and Teacher Quality Are Phony Issues, Updated) about his journey out of the streets of Williamsburg to his life as a comedian and performer. Ernie was in my 4th grade class back in the early 80's and I hadn't seen him in 25 years. Ernie is back in town performing his one man show "Heavy Like the Weight of a Flame" July 28 through August 1 at La Tea Theater (Teatro La Tea (LA Tea Theater) 107 Suffolk St. 2nd Floor New York, NY) on the lower east side. I will be going back to see the show and hope to see more former students. I think this is a great show for teachers to see, as Ernie, one of the brightest and most literate students I had, is a prototype for students all teachers run across. Not knowing the depths of what his life as all about, a teacher would pretty much assume a kid like Ernie would have clear sailing right through college and a good career. But it was not so easy. One of ten kids. A brother dead from drugs. Another died in prison. A kid who read Shakespeare and watched Masterpiece Theater and had to take the slings and barbs of family members who degraded him for it. Tickets are only $10 and there are plenty of good places to eat in the neighborhood so head on down. I'm planning on going this Wednesday, opening night and probably Friday the 30th and maybe closing night. Let me know if you are interested in joining me. I watched my former 4th grade student Ernie Silva perform his powerful one-man show, "Heavy Like the Weight of a Flame," with a different eye. As his former teacher and a member of the education deform resistance movement, I saw things that a casual viewer might not see. The show reinforced what every experienced teacher knows: it is not the so-called achievement gap or "teacher quality is the most important element" - blah, blah, blah - but the street gap faced by most Black and Latino kids compared to the daily life experience faced by middle class kids. Ernie's story may be unique but it is also in many ways typical of kids growing up in the projects and on the streets of Williamsburg in the 1980's. There was lots of danger all around. Ernie faced it all. Shots fired at a party with one slicing a hole through his shirt. Being stopped by cops pointing guns in his face. Drugs, drugs, drugs - everywhere - in his own house where he was the youngest of 13 children and his brother, destined to die young, was a heavy user. And the other brother in prison who also died. He ended up riding freight trains across the country. Ernie became a street performer doing break dancing when he was 12 and still a 6th grader. One thing led to another over the next few years and he started doing stand up. His bio states he became an obscene hooky player and started using his train passes to travel around the city looking for comedy clubs instead of going to school (he attended Murray Bergtraum HS). I won't get into the rest of his journey that led to a scholarship to a graduate acting program at USC. He lives in LA now. Ernie did not face the so-called achievement gap in reading. He was in one of the two best classes I ever had in terms of academic skills (either 1982 or 1983) in terms of achievement and 75% of the children in that class (which I only got because of a threatened grievance) were reading on or above grade level. They wouldn't have been in that class otherwise since classes were grouped strictly by reading scores. Their math was probably not as good but generally they were at a pretty high level. What needs to be pointed out is that most of these kids walked into school as 4 year olds (the top level neighborhood kids usually attended pre-k) with some level of skills and the teachers nurtured these skills. Ernie talks about how he was a voracious reader. Shakespeare and he was the only one in his house who watched Masterpiece Theater. Friends and family told him: "You can't change things with all that garbage you read" and "knowledge is dangerous and raises questions." Mostly these questions took the form of "What the f!" Ernie's teachers through elementary school were experienced teachers who were at the top of their game. That class was pretty much together from pre-k through 6th grade. The bottom classes also had the same teachers and the academic results were very different. There were only 2 classes on the grade in those years at my school as we had lost lots of population due to tenements being torn down - which by the way automatically raised our scores as the project families were more stable than the tenement kids. Ernie was a project kid. The difference in reading ability between the top and bottom classes was very wide. One of the best teachers in my school had the other (bottom) class and she told me she had a tough time that school year. Thank goodness for the UFT contract or my principal would never have given me that class without my threat to grieve it. The next year we reversed positions as the contract demanded. My principal generally violated the contract and I was one of the only teachers who demanded my rights be honored. I attended the show with Dina, another student from the same class, who I hadn't seen in 25 years. We caught up during intermission. He taught in NYC high schools for years and keeps track of his former students. He was the best math student I ever had and one of the brightest students. He and his sisters' journeys are also interesting and instructive and illustrate how very bright kids in places like Williamsburg have to take routes - like through the military - that middle class kids don't have to face. I know that anecdotal stories are not considered "data" but the follow-up stories teachers who spend many years in one community hear inform their knowledge and understanding of what it will take to make real changes and why so many of us are ed deform resisters. Joel Klein and Teach for America tell their minions there are no excuses and they often end up discounting trying to address the "street." This is misleading to young teachers who must have an understanding of the "street" and how it transcends the question of reading and math score data. Having such an understanding - which only comes to white middle class teachers through years of experience and involvement in the lives of their children - is a building block toward becoming a more effective teacher. I want to stress that I also do not believe in making excuses. Teachers have to believe in every student's potential and do their best to help them fulfill that potential. But there are bigger issues that must be addressed that are way beyond the teacher. Indeed, it was that understanding that pushed me into political activism by my 4th year of teaching. It was the first time I became active – the 60's passed me by – and my activism was driven by the kids. During our reminiscences with Dino, he had lots of memories of my classroom (my giant room) and the trips - the time I loaded him and 5 other kids into my car and took then to my house after school as a reward for good behavior, how he was car sick and barfed in my driveway – sure ways to get a SCI investigation today - I hope the statute of limitations have expired. Contrary to the Ed Deformers, I do not take the position that teachers are the major influences in these kids' lives, but are small pieces of a very large jigsaw puzzle. Seeing Ernie perform was special for me. He managed to work my name into the show ("Mom, my teacher Mr. Scott, gave me an A on my science exam today"). I didn't go out with Ernie and his crew after the show, though invited. The other former student joked that he was waiting for me to leave before lighting up because he didn't me to see him smoking. I thought I was a pretty casual teacher and things like that wouldn't matter. But teachers have an impact in ways that are beyond our imagination. Teachers at PS 193 in Brooklyn decided to rewrite the lyrics to a well-known song from Grease. They performed it on the morning of June 23, 2010 in front of the school. Some arriving parents and students got a great kick out of seeing their teachers fighting for them. Ed Notes was there to cover. WANT TO DO A PERFORMANCE AT YOUR SCHOOL? From Day 1 I said the UFT law suit was more PR than reality. And here is proof. Click to enlarge. Email me for a pdf. I am the president of the Hillcrest Estates Civic Association and a member of Community Board 8. Our association is zoned for Jamaica High School. 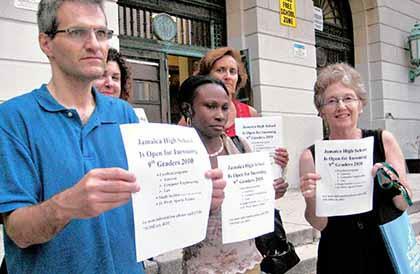 The civic association and the community board have, through various means, advocated against the arbitrary phase-out of Jamaica High School. To your organization's credit, you have taken successful legal action to stop this injustice. Since the March 26th ruling by Judge Lobis, the Department of Education has been consistently attempting to thwart her ruling. I am chagrined that the UFT has failed to return to Judge Lobis to seek satisfaction through a restraining order. It appears to me, as a non-lawyer, that their actions to co-locate two new schools in the Jamaica High School building, without compliance with the Mayoral Control legislation enacted last summer, is flagrantly illegal. The disregard of law that is being shown by the Department of Education, as illustrated by the attached letter, is outrageous. This letter at least borders on contempt of court. This is an issue that goes well beyond Jamaica High School and other organizations. If the UFT allows this disregard of law to succeed, the future will bring even further totalitarian rule. For the sake of the students, the teachers and staff, and the entire community, I urge you to return to court to seek compliance with the laws. As a teacher, you are well aware that the actions of adult leaders speak louder than words and have a greater impact on students. Jamaica HS stabbed in the back by UFT/DOE agreement. What does it tell you when a student who wants to go to Jamaica HS is sent to the intensely overcrowded Francis Lewis HS instead? An agreement between the United Federation of Teachers and the city Department of Education that is expected to bring in two new schools to Jamaica High School has outraged some officials and community members who said the plan is essentially a move to close the school mandated to remain open by the court earlie r this month. The Hillside Arts & Letters Academy and the HS for Community Leadership are now slated to move into Jamaica HS next fall, bringing the total number of schools operating inside the high school building to four. Both Jamaica and Queens Collegiate high schools will remain in the building next year. As part of the agreement reached July 14, the Rockaway HS for Environmental Sustainability will move into Beach Channel HS in Rockaway Park. The decision between the UFT and the DOE follows a state appellate court’s decision earlier this month that saved Jamaica HS, Beach Channel HS, and the Business, Computer Applications & Entrepreneurship Magnet HS in Cambria Heights from closure and upheld the March 26 ruling by a State Supreme Court judge that the city’s plan to shut down 19 public schools violated the law by not providing enough information about how the closings would affect communities. The UFT sued the city DOE af ter the city in January decided it would stop admitting students to the selected high schools categorized as failing and replace them with smaller campuses. Eterno and other Jamaica HS teachers said they are perplexed as to why the UFT would allow the DOE to implement the smaller schools after the organization won the lawsuit against the city. UFT officials did not return a request for comment. Under the agreement, the UFT waived its right to sue the city for co-location — moving the smaller schools into existing school buildings — in exchange for the DOE agreeing to make fewer schools share space in now-operating schools. Of the 16 smaller schools originally proposed to move into existing city schools, nine will be co-located in buildings for which they were originally planned — including the two schools at Jamaica and the one school at Beach Channel. The Cambria Heights Academy, originally set to be located at the Cambria Heights magnet school, is expected to move into open space in southeast Queens’ District 29. Officials did not say exactly where it will be located because the lease has not yet been signed. “Putting these new schools in here is handwriting on the wall to get rid of us,” Eterno said. Kevin Forrestal, president of the Hillcrest Estates Civic Association and a Community Board 8 member, berated UFT President Michael Mulgrew for the decision to allow the smaller schools into Jamaica HS. Forrestal, who lives near Jamaica HS, said the move violates the law. “The action pairs the UFT with the DOE as co-collaborators to circumvent the letter and the spirit of community-based decision-making,” Forres tal wrote. Eterno and other members of Jamaica’s School Leadership Team met just after the UFT and DOE’s agreement July 14, and they said despite the DOE’s efforts to close their school, they will continue to recruit students to join Jamaica’s freshmen class, which currently numbers approximately 40. Last week, SLT members went to Cunningham Park and City Councilman Leroy Comrie’s (D-St. Albans) barbecue at St. Albans Park to distribute fliers encouraging students and parents to look into Jamaica HS. “We know we’re an excellent school that’s worth fighting for,” said Nancy Reghay, a speech and language teacher who has been at Jamaica HS since 1999. Eterno and other school officials noted they could take several hundred freshmen from neighboring schools that are overcrowded, like Francis Lewis and Bayside high schools. This is in follow up to an e-mailed letter to you dated June 11, 2010, with the subject line, "Justice for Jamaica High School." With that letter, we forwarded a copy of a letter to a student admitting the student to Francis Lewis High School rather than to the student's choice of Jamaica High School. Today we write in response to the agreement made yesterday between the United Federation of Teachers and the Department of Education. The plan submitted to the Panel for Educational Policy in January was for a phased closing of Jamaica High School combined with a phased opening and growth of three new small schools. Accompanying it was a flawed Educational Impact Statement. This plan, approved by the Panel for Educational Policy, was presented as one integrated resolution. The Supreme Court of New York State, upheld by the Court of Appeals, has found the PEP votes for the approval of that resolution null and void and annulled the votes. New York Education Law - Article 52-A, § 2590 - clearly gives the procedure for the co-location of new schools in an existing school. See also Chancellor's Regulation A-190, "Significant Changes in School Utilization", which clearly outlines the procedure which begins with a filing six months before the start of the school year and calls for an EIS, hearings, and a vote of approval by the Panel for Educational Policy. The announcement of the UFT and the Department of Education's agreement to allow the placement of new schools at Jamaica High School in violation of New York State Law is reprehensible. It sends a terrible example to the students and staff. The action pairs the UFT with the DOE as co-collaborators to circumvent the letter and the spirit of community-based decision making. ....on and on through an infinite loop. We haven't dealt with the major testing story. You see, Tisch and Steiner, that dynamic duo that run the NY State Ed Dept, embarrassed about the national joke NY State tests have become even as they are used by Merryl Tisch's next door neighbor (Bloom) and her Sedar buddy (Klein) to justify the scam they are pulling about how they raised student levels, decided to commission a Harvard study on NY State Tests. The researchers happened to be Daniel Koretz and Jennifer Jennings – the great Eduwonkette, an old - actually, really a young - buddy from a few years back. No fooling around there. And no Gates money involved I bet to steer the results the "right" way. Leonie's blog and listserve have been dead on the story. State Ed Commisioner Steiner is making the rounds with analysis prepared by Harvard researchers showing the state tests are simply getting easier. She links to the Times coverage. Leonie keeps asking why Tisch and Steiner refuse to release the entire study for public viewing. Maybe they think the viewing will play like a mob funeral. Tony Soprano and friend for Steiner and Tisch jobs anyone? Hope you saw this. Opens up a few windows that go beyond talk of "score inflation" to expose how defective the test instruments are. It aint that the clock is ticking too loudly. It's that the clock is broken. Regents Chancellor Merryl Tisch and Education Commissioner David Steiner have admitted that the state has badly bungled its testing of New York's schoolchildren. They are promising to do better -- but want to close the book on what went wrong. Sorry: Assurances of more honest days ahead aren't enough -- we need to resolve accountability for the dishonest days of the recent past. After all, Tisch and Steiner are implicitly acknowledging that the critics have been right, and the state Education Department wrong, for years -- since 2006, at least. The department and test publisher, CTB/McGraw-Hill, have reduced the tests' "cut scores," so that a student could score fewer points but still be graded as "proficient." Department spokesmen, buffered by the head of the state's Technical Advisory Group, defended the adjustment by saying the questions had gotten harder. In fact (as was shown by data I later obtained via the Freedom of Information process), the questions were getting easier. Lowering the bar made no sense -- yet the department insisted it did. A Harvard study quantifies some inevitable long-term consequences: Students labeled "proficient" in fact struggle to graduate from high school; most are unready to do college-level work. That Tisch and Steiner commissioned the study doesn't absolve anyone of responsibility for this sham. Chicago-based Lee Sustar, who I got to hang with at the press table at the AFT convention, does a penetrating analysis of the AFT convention – and links to reports from George Schmidt's Substance, Ed Notes and Leonie's HufPost article on Bill Gates, "The Most Dangerous Man in America". Lee's piece is long but well worth reading. Lee writes for the Socialist Worker, associated with ISO (International Socialist Organization). We have been working closely with a number of ISO teachers here in NYC. Lee goes beyond the Bill Gates issue and touches on the major Weingarten sell-outs in Colorado and beyond. This is information every single one of you should share with every single colleague in your school and beyond. Just send them a link to this ed notes post. Before you delve into it, I want to highlight the area that I have been emphasizing – the flash points between the two big caucuses - Chicago's CORE and New York's Unity. It seems the UFT would be going wild in Albany over this outrage, calling for Smith's head. But I bet they are too timid to do this. So a law suit is all they can threaten. So how does this connect, aside from exposing the bankrupt policy of the UFT's total focus on political action? Chicago/CORE called for an moratorium on charter schools at the AFT convention because they undermine public schools. The AFTUFT/Unity gang supports charters along with a policy of organizing charter school teachers. How is that working out so far? Chicago people have pointed to how few charters have been organized and also point to how even when they are, there are individual contracts signed, which dilutes the power of a big union. Another bankrupt strategy of the UFT/AFT. I was asked last night by a parent activist if the UFT had issued a press release or has any notice of the press conference and I said I only knew about it from her. "Because they are very nervous these firings will kill off any organizing they are doing as charter school teachers realize the UFT has no real ability to protect them from retaliation. So the UFT is doing a semi-public relations gambit and threatening a law suit which can take a bit of time and do no good to the teachers who were fired." This entire thing can turn out to be a major PR disaster for the UFT/AFT. The Merrick situation must be sending a chill in a very hot July down the spine of the UFT/AFT strategy because it is in the belly of the beast - with heavy Democratic black politicians associated with the firings. By the way, the charter school is managed by for profit Victory Schools which just hired Michael Duff away from the DOE. Victory also took a pound of flesh from another Malcolm Smith founded school in Rockaway - Peninsula Prep. Rockaway's local paper, The Wave, has been claiming that the closing of Beach Channel HS was related to a land grab by Smith for his charter. The NY Times did a major front page expose on the Floyd Flake/Smith/Greg Meeks scams a few weeks ago. I usually include entire articles here for those too lazy to link or with slow networks. 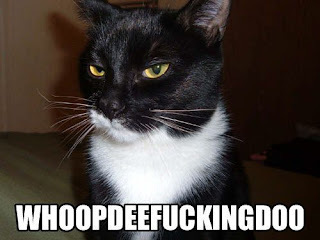 But I'm saving some scrolling space on the blog on the assumption that you all will read every word of Lee's article. There will be a high stakes test to follow. So one day you all are teaching. Then you run a 6 month campaign with a runoff. Then you win the election. Then two weeks later you take over the union. Many of the old guard have to leave their jobs. 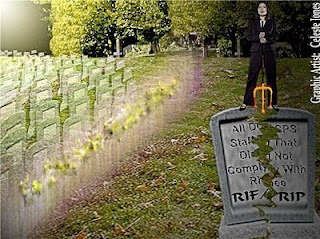 Then a few days later most of you head off for Seattle to the AFT convention, leaving a skeletal staff. Then you come back exhausted and have to start building up a staff to handle 1000 people who have lost their jobs and confront a mayor and CEO who feel they found a loophole in tenure and can layoff who they want. Oy! So what happens? Instead of being burned out, you come back from the AFT convention totally stoked - energized by the experience. Your union and fellow teachers need you. So, you go into the union and volunteer to help out. If you are a UFT member in NYC thinking this could ever happen with your friendly Unity crowd, blink twice and snap those ruby slippers - and keep snapping – you will not end up in Oz. Below is a link I put up at Norms Notes with the text of the insightful resolution the CTU tried to bring to the floor at the AFT convention that was posted at Substance. It opposes mayoral control, merit pay, calls for a moratorium on charters, calls for an end to all school closings. After negotiations with Randi's agents - Aminda Gentile and Leo Casey, a little itty bitty piece of the language made the final cut. our resolution is wholly grounded in the experiences of public educators in Chicago where the movement toward the business model of education reform has had perhaps its most reaching impact. This resolution is just another means with which we (the Chicago delegation) hope to combat that movement. Word is they will go to court. Which court? 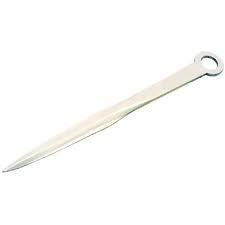 Or PERB (probably not as that is for public employees). Maybe NLRB- isn't that controlled by pro-charter Obama administration that is so anti union teacher? How will this story play out in local and national charter schools the UFT and AFT is trying to organize? Should teachers in charter schools look for a union with muscle to organize them? Will the UFT follow Randi's advice and FIGHT SMART? Since the UFT has made organizing charter schools a lynch pin of their policy, what message does this send? The UFT should have been out there supporting our friends from Rochester who came down to protest against Smith on July 5 over mayoral control. Oh, I forgot. The UFT supports mayoral control. And charter schools. "Generally speaking, the New York delegation represented organizing charters as the best model for handling their role in reshaping unions, despite the fact that according to many reports few charter schools in New York have been organized as is the case in Chicago. This logic is the same touted by the Progressive Caucus of the AFT. The few that have been organized are a part of the UFT local though they have separate contracts negotiated with the help of UFT. The Chicago delegation reflection the mindset that allowing new charters to continue to proliferate while attempting to organize existing charters is an end game in which public schools and the union lose." Merrick Academy fires nine staffers amid bitter contract dispute. Some of the Merrick Academy staffers who got the boot are chalking it up to a bitter contract dispute between the school and unionized teachers.A scandal-plagued Queens charter school fired at least nine teachers Tuesday - via FedEx, union officials said. "If the board of the Merrick charter school is firing teachers because of union activity, then we're going to take all legal action against them," said United Federation of Teachers President Michael Mulgrew. Teachers at the Queens Village school voted to unionize in 2008 but they haven't reached a contract with Victory Schools, which operates the charter. Ge rald Karikari, chairman of Merrick's Board of Trustees, would not say how many teachers were fired and denied the layoffs were retaliatory. "At the end of the year, every teacher is evaluated on the way they performed," he said. Kindergarten teacher Marjorie Berry, 60, one of the fired teachers, isn't buying it. "I was upset, because I put my heart and soul into these children and into the school," said Berry, who has taught at the school since it opened. "I just feel like I've been pushed aside like a piece of garbage." Federal prosecutors have subpoenaed documents from a politically connected architect who helped design Merrick's school building in an ongoing corruption probe of several Queens politicians, including Merrick founders Senate President Malcolm Smith and U.S. Rep. Gregory Meeks. 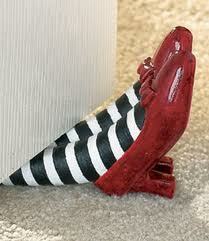 Are The Winds Changing for the Ed Deformers? Antonucci - the 13th Russian Spy?